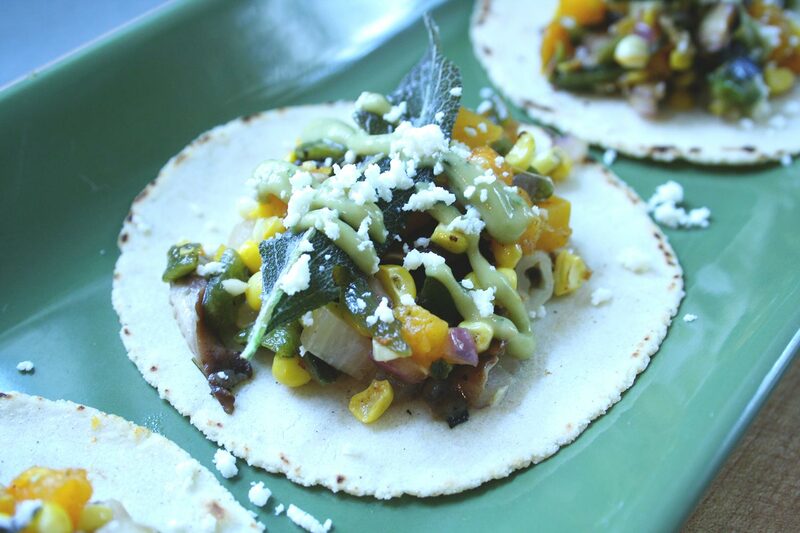 Roasted butternut squash with shitaki mushrooms, roasted poblanos, toasted corn, and fried sage. Generally I like some meat in most every meal I make. 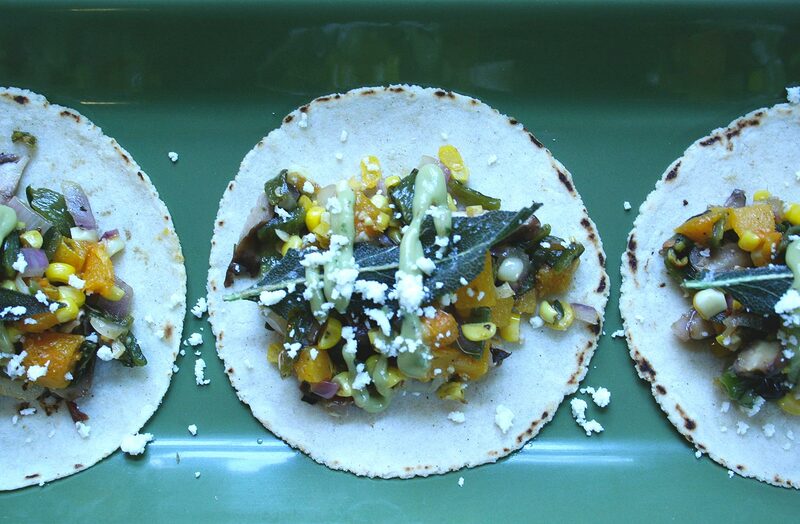 The goal here was to make a vegetable taco that could almost pass as a meat filled taco. This worked pretty good. I love shitaki mushrooms. They have a meaty quality that could almost pass as dark chicken meat. 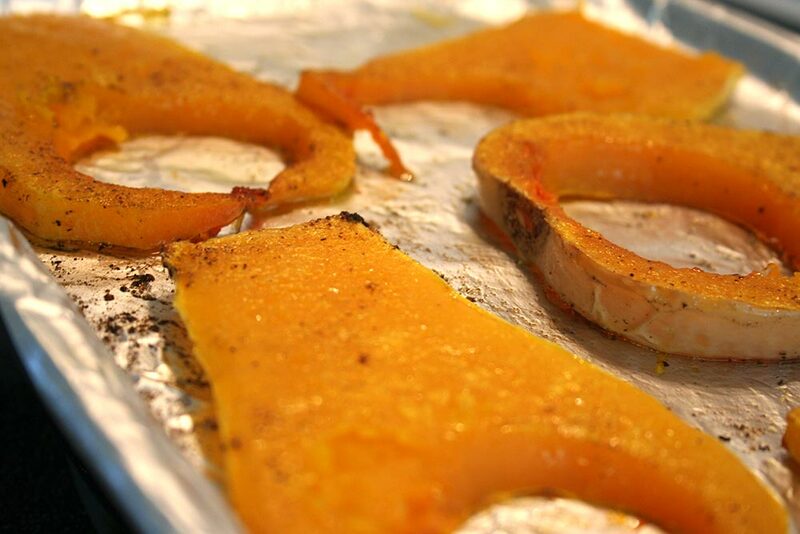 The roasted butternut squash with cumin has a sweet glazed quality that is almost like candy. And I could put roasted poblanos and corn in just about anything and it works. So after I made these, my son who says he hates mushrooms, timidly ate one. He loved it. There you have it. Set the oven to broil. 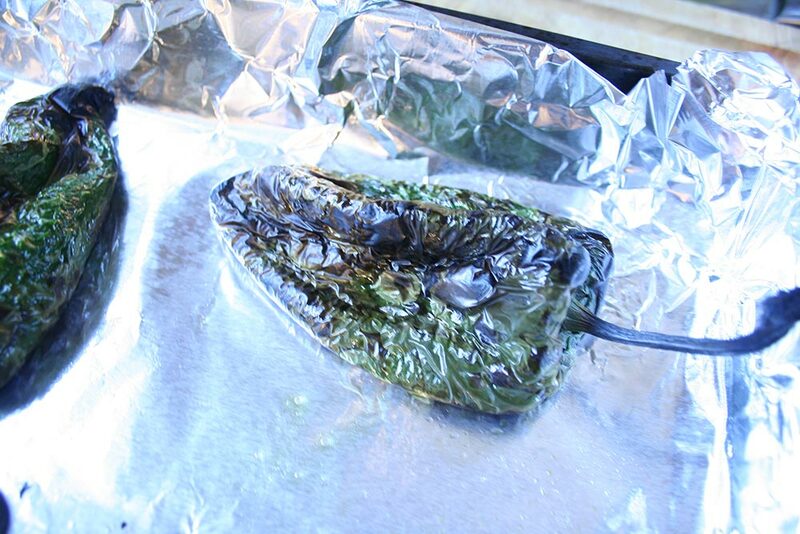 Place the poblanos in a foil lined baking pan. Drizzle with a small amount of olive oil and rub it over the peppers. Broil as close as you can to the top of the oven without the peppers touching the heating element. Broil 5 minutes, flip and broil another 5 minutes until the skin is slightly burnt. Place in a ziplock bag and let sit for 5 minutes. Remove from the bag. Peel off as much of the skin as you can. Cut open and carefully wipe away the seeds. dice into small pieces and add to the diced onions. Set aside. Heat the oven to 425º. Peel the butternut squash. Cut into slices about 1/2″ thick. Place on a foil lined baking sheet. Drizzle with some olive oil. Season with a few pinches of salt and freshly ground pepper and the cumin. Flip a few times to coat evenly with the oil. Place in the oven and bake for 23 minutes. Remove from the oven. Dice into small pieces. You only need about 1/2 cup for this recipe. You’ll have more than that. Save the extra for whatever. It’s great on it’s own. Heat a heavy bottom pan on medium high heat. 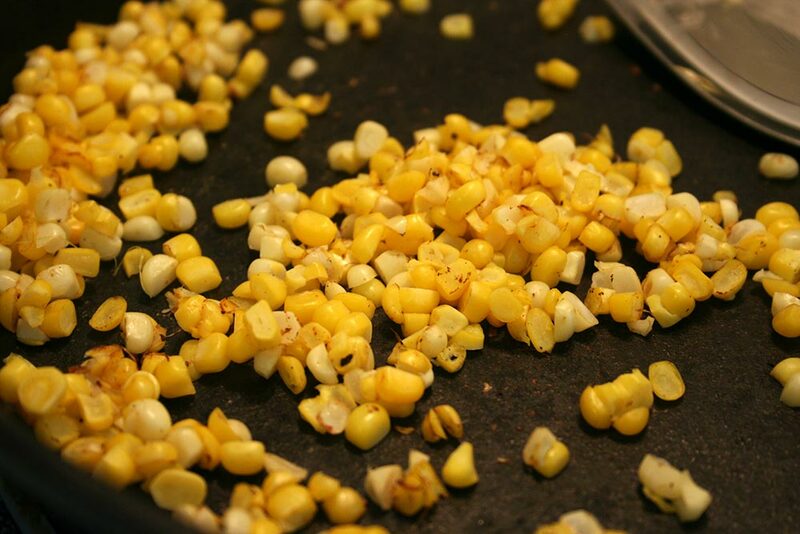 Cut the corn kernels from the two ears of corn. Pat dry with a paper towel. Add to the pan in a single layer. Let sit undisturbed for a few minutes. Stir and let sit for a few minutes more until slightly charred here and there. Remove from pan. 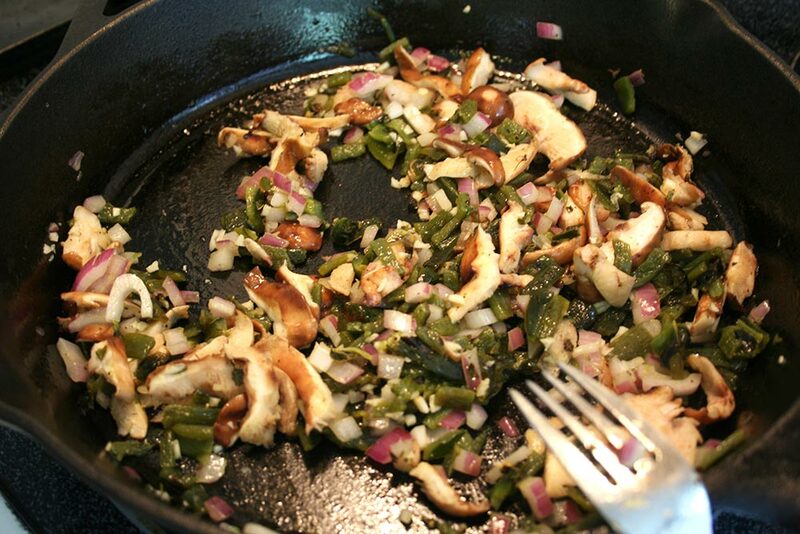 Add a tspn of olive oil to the pan an add the onions and poblanos. Add a pinch of salt and pepper. Cook for 2 minutes until the onions are soft. Add the garlic, mushrooms, and oregano and cook for an additional 2 minutes, stirring occasionally. 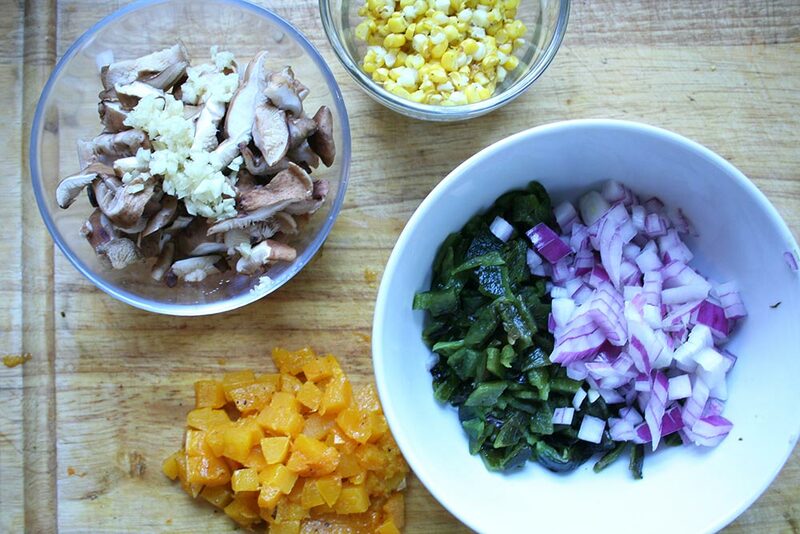 Add cooked vegetables to a large bowl. 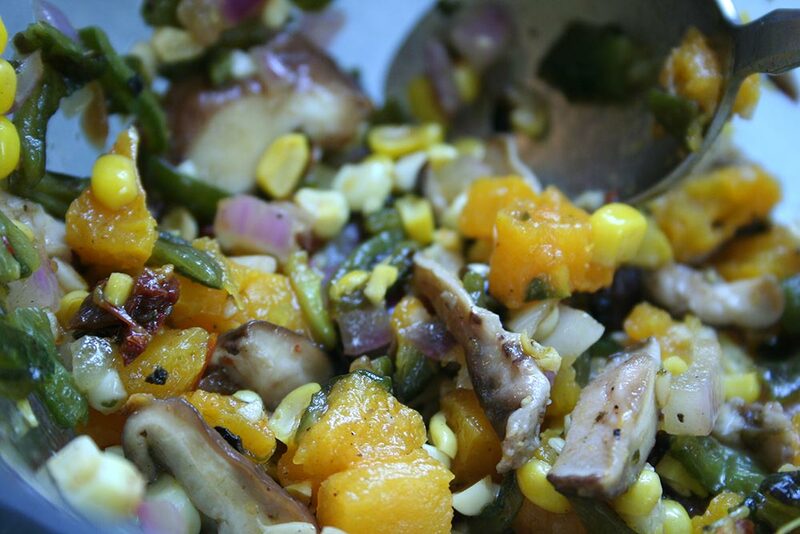 Mix in the toasted corn and butternut squash. Add the lime juice and chipotle pepper. Gently mix. You don’t want to mash up the squash. Heat about 1/2 inch of vegetable oil in a small pan over medium high heat. 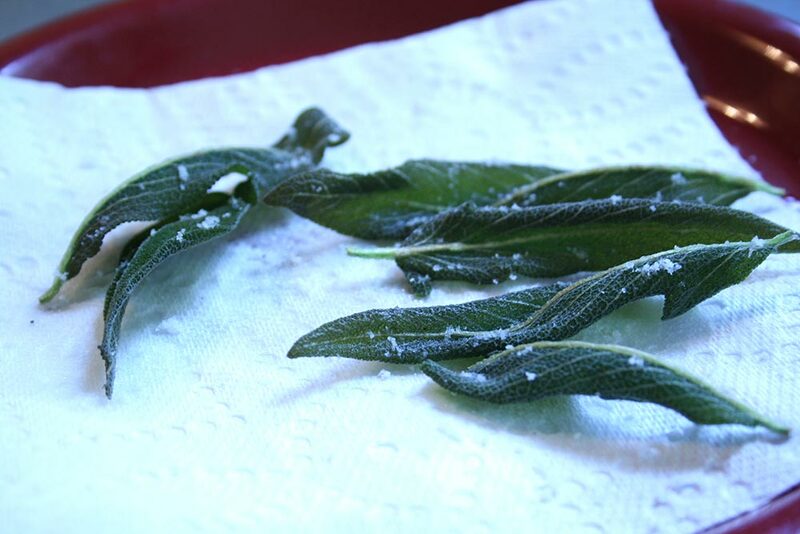 drop the fresh sage leaves in and fry for 5-10 seconds. sprinkle with a little sea salt. 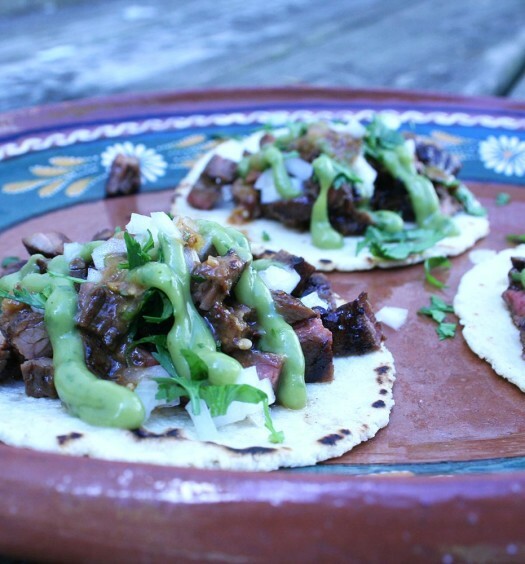 Heat your corn tortillas on a comal or griddle till soft. 1-2 minutes. Add a few spoonfuls of the vegetable mixture. 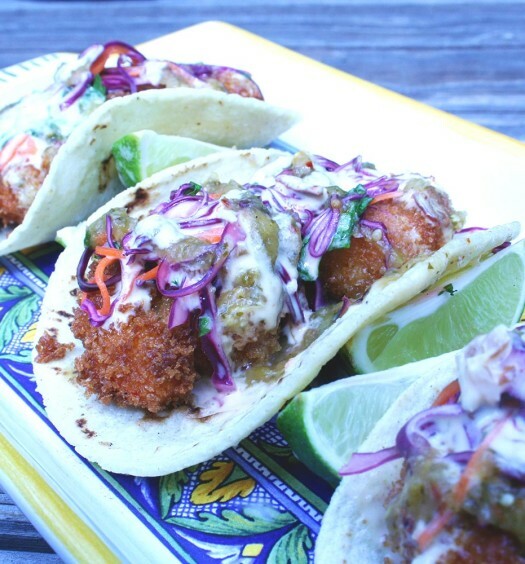 Top with a sage leaf, a drizzle of the avocado sauce, and some crumbled queso fresco. This tastes as good as it looks. It’s awesome. Enjoy.